After 4 years of hard work, the Neighbourhood Plan has now been completed and a 7 week public consultation period will run form Friday 7th December 2018 to Friday 25th January 2019. The Plan can be found in the Neighbourhood Plan section of the web site, together with the response form. We will be holding a public consultation day on Monday 14th January at the Stoborough Primary School from 4pm to 8pm when you will be able to come along, talk to Parish Councillors, ask any questions you may have and pick up a response form. Members of the public are welcome to call into Wareham Town Hall to find out more about how the Moors at Arne Coastal Change Project could look. Staff from the project team will be on hand to discuss the details of the plan. 1. There is a vacancy for a Parish Councillor caused by the resignation of a councillor. 2. A By-Election to fill the vacancy will be held if, within 14 working days from the date below, any 10 electors of the Parish give notice to the Returning Officer claiming such an election. 4. If no such notice is received by the Returning Officer the Parish Council will fill the vacancy by co-option. Following the Arne Parish Council meeting of 15th March the following policy for The Moors at Arne project has been agreed. Arne Parish Council has received updated information on higher speed broadband for Arne and Ridge from the Dorset Superfast project team. 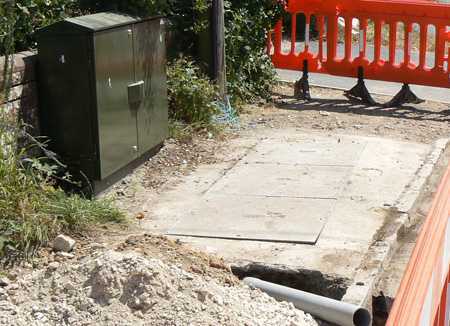 BT/Openreach report that they are optimistic that work to complete the fibre to the premises network servicing Arne should be completed by the end of March. This could change should an unforeseen issue arise. There would then be a period of “commissioning” – checking the quality of the build and updating records – which could take anywhere between a few days and a number of weeks. Once this is complete customers in Arne will be able to order a superfast fibre service. The Superfast Dorset programme will email those who have registered for updates once they are able to place an order. Work to bring fibre broadband to Ridge forms part of the Superfast Dorset project’s ‘third deployment’, i.e. its third contract with BT which will provide coverage to 3,856 premises. The planning for this contract has begun, but the detailed plans and phasing for Ridge are not complete so exact timescales are not available. What is known is that the contract will be delivered in 2018 and 2019 and that finance is in place. The rig (in parts) and associated equipment will be transported to the wellsite between the 6th and 9th March – travelling along Corfe Road, New Road and Arne Road. Perenco have delayed the rig crews until the 10th April, but there will be some minor works to the well to get it prepared for the rig the week on the 26th -29th March, leading up to the Easter Bank Holiday, and will continue again from the 3rd April for a few days. The workover will then start on the 10th April and will be completed by the 30th April. Perenco have arranged for a ground maintenance team to be on stand-by for the above dates to repair any damage to verges and any overhanging tree limbs that may be affected by the loads. For information, a workover is to perform work on a well – it is sometimes called well intervention. This is carried out in order to modify or repair the internal design mechanism. A workover can be carried out by a small unit or by a larger workover rig, depending on the nature of the workover. This work will, however, involve Perenco’s workover rig which is fairly compact compared to the previous rigs used at Wytch Farm. There will be curfew hours where possible to ensure all HGV movements are in daylight hours only, Monday to Friday and Saturday mornings. The only exceptions to this would be for emergency/unplanned events that require specialist materials or equipment. A lighting survey will be conducted on the first night shift to ensure, primarily, that the site lighting is adequate for the work being carried out, but also that the light sources are being kept to a minimum and that lighting is set up to be considerate to immediate neighbours. A traffic management plan will be implemented to limit the number of vehicles visiting the site, traffic route, etc and Perenco’s ground maintenance team will be on standby to deal with any overhanging branches on the road to the site or damage to the verge. Members of The Moors at Arne Project team will be available to talk to local people at a series of drop-in sessions held in the half hour before the regular Parish Council meetings. So, if you would like to come and chat through any issues you have about the scheme we’d love to see you, from 6:30 at Stoborough Village Hall on 15th March, 19th April, 17th May, 21st June. A 'workover' is to be performed on one of the wells at Arne – sometimes called a well intervention. This is carried out in order to modify or repair the internal design mechanism. The workover will use Perenco’s workover rig which is fairly compact compared to the previous rigs used at Wytch Farm. Current expected dates for the workover are 3rd April to 23rd April. The exact dates for the rig moves are not yet confirmed and Perenco will confirm their plan and let us know, but nothing is arriving at the site before 2nd week of March where it will be stored. Perenco will impose curfew hours where possible to ensure all HGV movements are in daylight hours only Monday – Friday and Saturday mornings. The only exceptions to this would be for emergencies or unplanned events that require specialist materials or equipment equipment. Perenco will conduct a lighting survey on the first night-shift to ensure primarily that our site lighting is adequate for the work being carried out, but also that light sources are being kept to a minimum and that lighting is set up to be considerate to the immediate neighbours. Implement a traffic management plan to limit the number of vehicles visiting the site, traffic route etc. and we will also have Perenco’s grounds maintenance team on stand-by to deal with any overhanging branches on the road to the site or damage to the verges. Once the programme of work is finalised Perenco will share some further detail which will be mainly key dates. This is a draft of Arne Council's proposed policy towards the Arne Moors project. It will be determined at the next APC meeting on March 15th 2018. Here are two papers from the Environment Agency. The first answers frequently asked questions (FAQ'S) and the second is a summary of feedback from the various drop in sessions. Arne Parish should have received a copy of 'New Homes for Purbeck' through their door together with a questionaire. Further notes and dates and times of drop in sessions are included here. 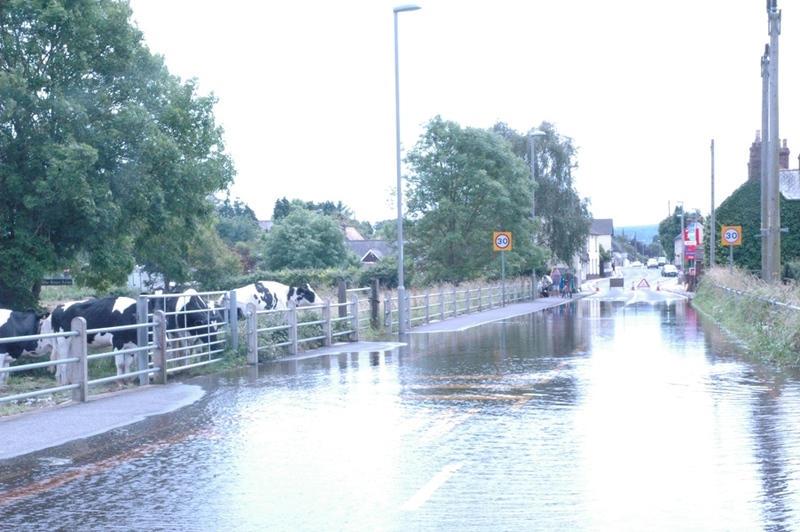 Arne Parish as part of Dorset is included in the Wessex Regional Flood and Coastal Committee's remit. Residents might be interested in this document which gives an overview of policy in our area and highlights the responsibilities of the Environment Agency and Dorset County Council. Arne Parish Council has been notified that the Environment Agency and the Dorset County Council Flood Risk Team have agreed to work together on a comprehensive drainage survey of Ridge in the New Year. This survey will inform which parts of the drainage system outfall to the meadows west of Ridge Wharf and which parts outfall to The Moors system. The survey should also reveal blockages, undersizing of pipes and other anomalies. Asset records from Wessex Water and DCC Highways will be obtained. A hydrogeological study of Ridge using boreholes and data loggers is also being carried out to assess groundwater levels. 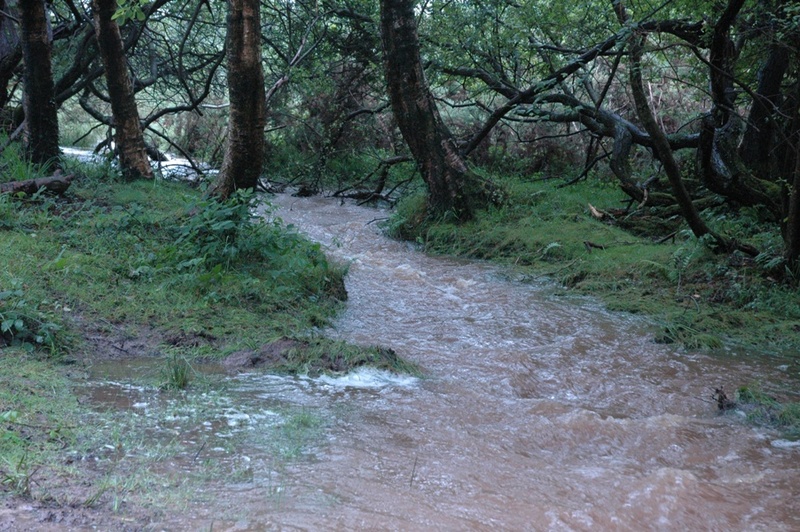 This study also includes the Furzebrook stream and other inputs into the Moors. We have been notified that the results will be fed back to Arne Parish Council and the resulting actions and implications discussed. This is presentation material from the Environment Agency regarding the Arne Moors sea-wall re-alignment meeting at Furzebrook Village Hall. Arne Parish Liaison notes from the meeting are here. The RSPB wishes to notify Arne Parish residents that there will be a 'Pull a Pine' session on the 2nd December between 10:00am and 3:00pm. Depending on the weather there is likely to be a very large number of visitors on that date. The RSPB will be managing the traffic flow in and out of Arne but there may well be congestion further back along Arne Road. Some 150 or more residents of Arne Parish gathered as above for a Q&A session hosted by the Environment Agency, the RSPB and Natural England in response to proposals to re-align the embankments at Arne Moors to create new nature areas to compensate for those lost when other schemes to protect low lying properties around Poole Harbour are implemented. Click here for a summary of the questions and answers put forward. The Environment Agency, RSPB and Natural England are working in partnership on the 'Moors Project' and members of the project team will be present at the meeting to answer questions local residents may have regarding the scheme. Doors will open at 6:30pm for an opportunity for informal chats on a one to one basis with the project team and refreshments will be served. The meeting will commence at 7;30pm with a short presentation about the project. This will then be followed with a question and answer session to be chaired by the chair of Arne Parish Council. Although it is said that around 95 per cent of premises in Dorset can order a superfast fibre broadband service, some parts of Arne Parish are still waiting. 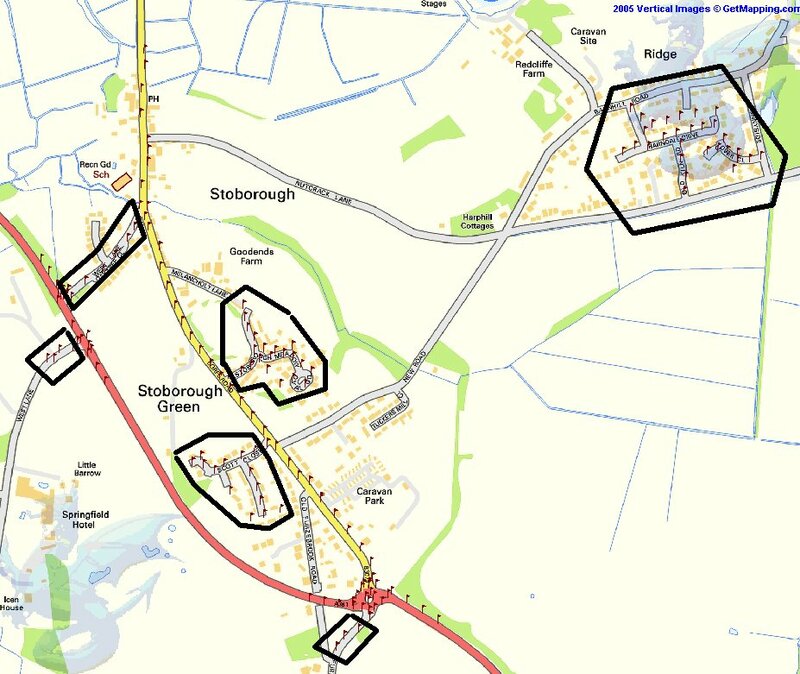 Further to the availability of a fibre broadband service through Stoborough a couple of years ago, plans are now afoot to extend this service to properties in Ridge and Worgret. The Superfast Dorset Programme brings fibre broadband to areas not covered by the commercial rollout undertaken by companies such as Virgin Media and BT Openreach. The work is part of a larger package to be completed by summer 2019 which extends the fibre broadband network to 3,800 more premises in Dorset and cost £7.4m. It will be undertaken by BT and funded as follows: Dorset LEP – £2m, Central government (Broadband Delivery UK) – £2m, BT – £3.4m. Once the work is complete residents and businesses must arrange an upgrade with their chosen service provider in order to get the faster speeds. Proposal to increase number of Arne Parish Councillors from 7 to 8. This is In anticpation of extra responsibilities under local government changes. Residents can recycle their real Christmas trees by cutting them up and putting them in a garden waste bin if they subscribe to the service, or taking it to a household recycling centre. Alternatively, all decorations should be removed and the tree placed next to the bin on the first rubbish or garden waste collection day from 6 January. Trees left out with recycling will not be collected. Autumnwatch would like to invite you to meet and greet our presenters and team 6:30 - 7:30 on Friday 21st October at Furzebrook Village Hall. We're really excited to be broadcasting from Dorset this season and would like to take the opportunity to let you know why we've chosen RSPB Arne as our autumn home for 2016, as well as sharing with you what we hope to film in the coming week. 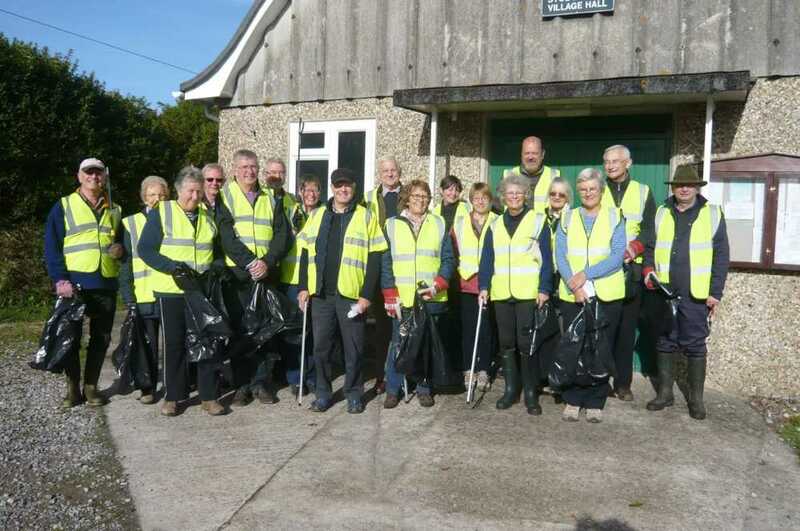 Twenty-three volunteers committed a couple of hours of their time to collect litter and rubbish from the roadsides, ditches, drains and waterways of the parish on Sunday 25th October. Cllr Don Hunter acknowledged that while most people are sensitive to the environment, dispose of their rubbish responsibly, and often pick up litter when they see it, there is still room for improvement. Between them the volunteers collected between 30 - 40 bin-bags of rubbish which was taken to the waste depot in Wareham for re-cycling. 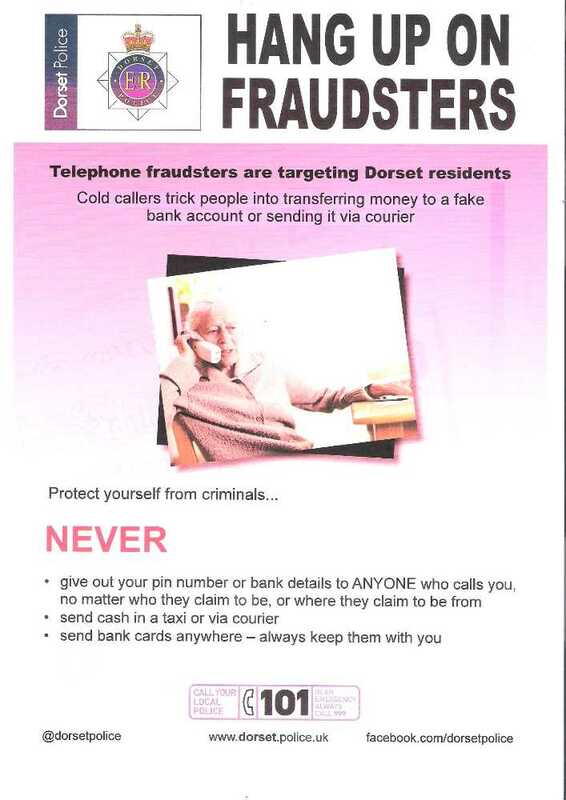 You may be aware of the latest (and unfortunately quite successful) telephone fraud scam which is targeting Dorset residents at the moment. So far, residents in the county have lost over a million pounds to fraudsters and across the Dorset and South West region, losses are in excess of two million pounds. Many of the calls are from people pretending to be police officers or bank advisors who claim that the victim’s accounts have been compromised in some way. They are very convincing and persuade the victims to hand over large (for example £9000) worth of cash. The police would never ask for your bank details over the phone. Click on picture (right) to see what you should NEVER do! 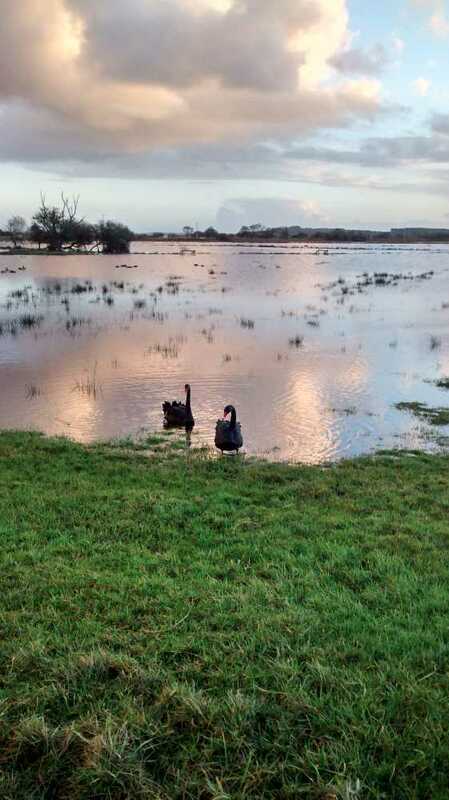 Black Swans seen earlier in the year have returned to the Floodplain by the Redcliffe - Wareham towpath after the November rains. 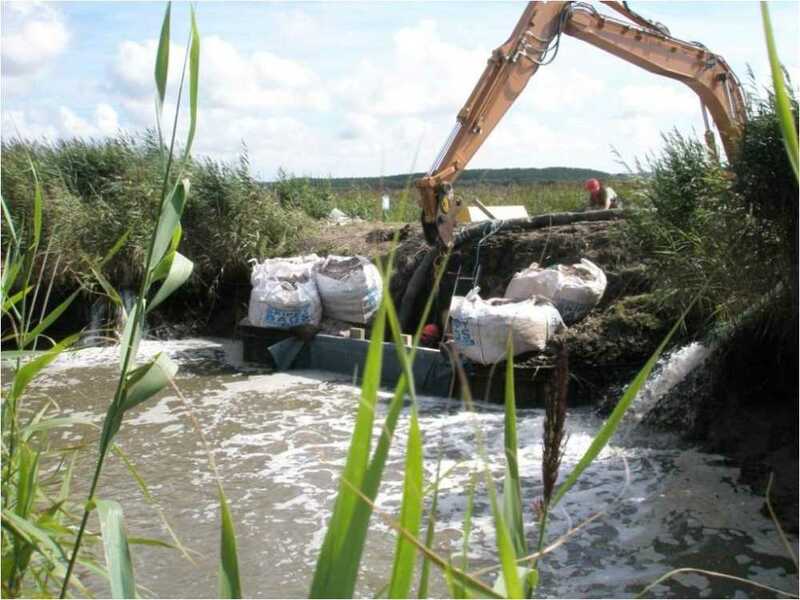 Further to the storms of February and March 2014 after which some emergency repairs were carried out, the Environment Agency have now completed more substantial works to broaden some of the narrower parts of the bank. During last winter's storms the flood embankment between Wareham and Redcliffe Farm was overtopped at low spots along the footpath. The Environment Agency is repairing the damaged sections and restoring the crest by replacing the timber edging along the path and bringing the embankment up to the required level. 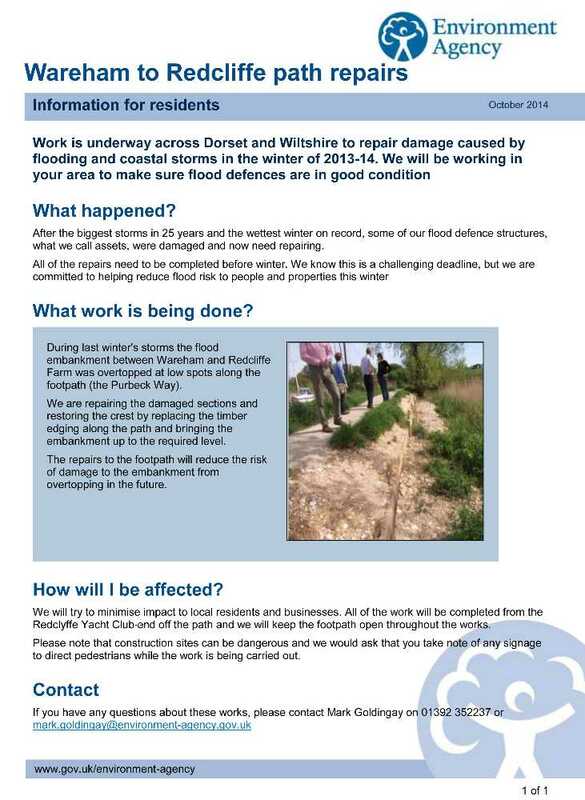 The repairs to the footpath will reduce the risk of damage to the embankment from overtopping in the future. Click here for more details. Clare Randall gave some 35 Ridge residents a superb tour of the Purbeck Mineral and Mining Museum at Norden on a glorious late September day. We got an inkling of how tough life must have been for the ball clay miners hacking away at the face with needle sharp picks which were worn out after only one hour's work. And what was really inspiring was the work still to be done to restore a section of narrow gauge railway and a bridge which runs over the main Swanage Railway line; all of this to be completed over the next three years or so! How is your broadband connection? We are currently conducting an on-line survey of broadband experience in Arne Parish now that some fibre-optics have been added along Corfe Road. Please help us to find out if and where we need more improvement by filling in this survey. An important part of building Arne Parish's neighbourhood plan is collecting local opinion on a wide range of topics. A survey went out to all households over the weekend of 13th/14th September 2014 and extra copies can be filled out online from this website. The deadline for completion is the 10th October and we hope for a good response! There will be an open evening to discuss the results in November. Down the River Frome, around Poole Harbour and the islands and out to Old Harry (Weather Permitting). Tickets £15. Fish and Chips £5.50. 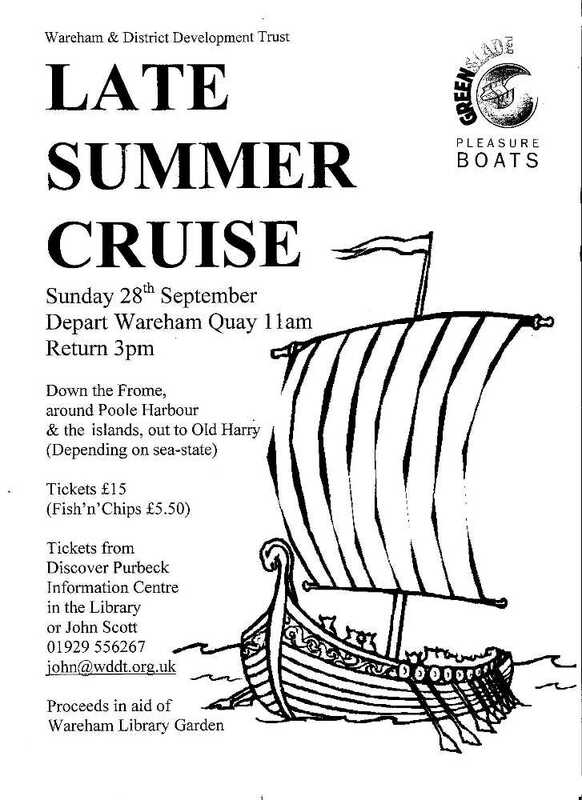 Tickets from Discover Purbeck Information Centre in Wareham Library or call John Scott 01929 556267. Proceeds in aid of the new Wareham Library Garden. Three new information panels are now in position on the River Frome towpath between Wareham and Redcliffe. 'A Walk on the Wild Side' provides a guide from the Dorset Wildlife Trust on what flora and fauna might be seen. With information from the Environment Agency, 'From River to Coast' describes the history of the towpath and how it might be affected by climate changes. The third board, 'A Lifetime of Adventure Stories' is about Percy Westerman who used to live and write from his boat at the spot where this board is now displayed. The boards were commissioned by the Wareham and District Development Trust. This project is looking at how people in Purbeck can get the best possible health and social care in future. Please click here for full details of how the project is progressing. This is the last week of oil rig activity on the Arne wellsite and we are now starting to dismantle the rig before removing it from site. We need to make space by removing portacabins first, with some of these leaving site on Saturday morning. The rig move itself is due to start on Monday morning (2nd June) with vehicle movements tailing off into the following week. We will be checking and repairing verges during this period, with any final reinstatement being made when the rig move has finished. Our drivers do their best to anticipate oncoming traffic and give way. As always, they really appreciate it when other road users help them by anticipating and pulling into passing places too, especially as lorry drivers have limited visibility to the rear of their vehicles which means it may not be safe for them to reverse. If any issues arise that need our attention, please contact Suzie Baverstock (or the Control Room, if outside of normal working hours) via 01929 476000. 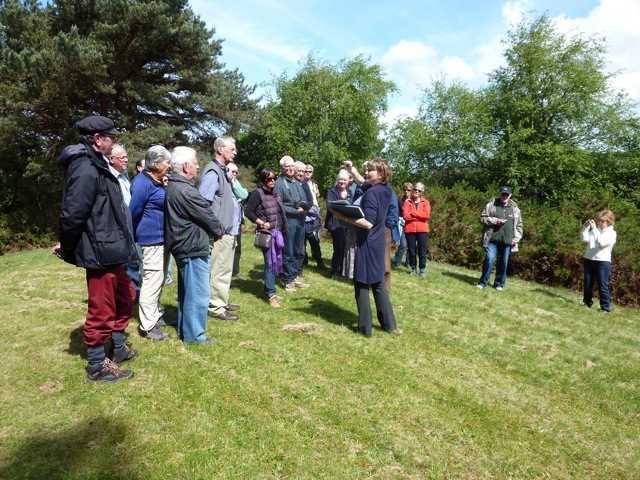 On 14th May Ridge Residents enjoyed a glorious sunny day out on Furzey Island courtesy of Perenco and in particular Suzie Baverstock who showed them round. This was an opportunity to see red squirrels and 'nodding donkeys', great views, a chance encounter with the training ship 'Royalist' and of course to find out more about the oil drilling operations which carry on there pretty well unnoticed. Click here for a fuller report. It was good to meet so many local residents at the Redclyffe Yacht Club on 11 March and to discuss our plans to drill a new oil well at the Arne G wellsite. Since the meeting, the rig has been delayed on Furzey Island, so our start date has slipped a little. Delivery of rig equipment will begin towards the end of this week, with the main rig move starting next week. Drilling (which is a 24 hour activity) is due to start in mid-April. As outlined at the meeting, we will: minimise deliveries to site; use dedicated drivers on stipulated routes; and transport staff by minibus. In response to feedback at the meeting, we have arranged daily verge checks (and repair if necessary) during the rig move to site and will continue this as necessary based on experience during that period. Our drivers will do their best to anticipate oncoming traffic and give way. As always, they really appreciate it when other road users help them by anticipating and pulling into passing places too, especially as lorry drivers have limited visibility to the rear of their vehicles which means it may not be safe for them to reverse. If you spot any problems with the verges or if any other issues arise that need our attention, please contact Suzie Baverstock (or the Control Room, if outside of normal working hours) via 01929 476000. After the Storm - Again! Early March again brought southerly storms and a very high tide with waves across the flood-bank which further eroded the side of the towpath. Another working party on the 13th March, this time of Ridge Residents supported by Dorset County Council 'rights-of-way' department shored up the worst affected areas. Click here for more pictures - as last time, the work-party enjoyed immaculate weather. This news page has covered quite a lot about the 'towpath'. 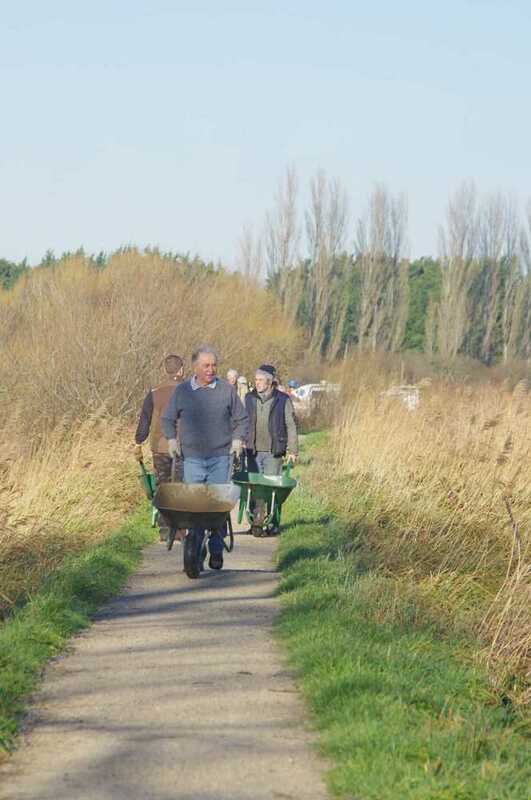 Apart from defining the edge of the River Frome which at one time was much wider, one of the path's earlier roles was to enable horses to tow barges up from Ridge Wharf to Wareham. 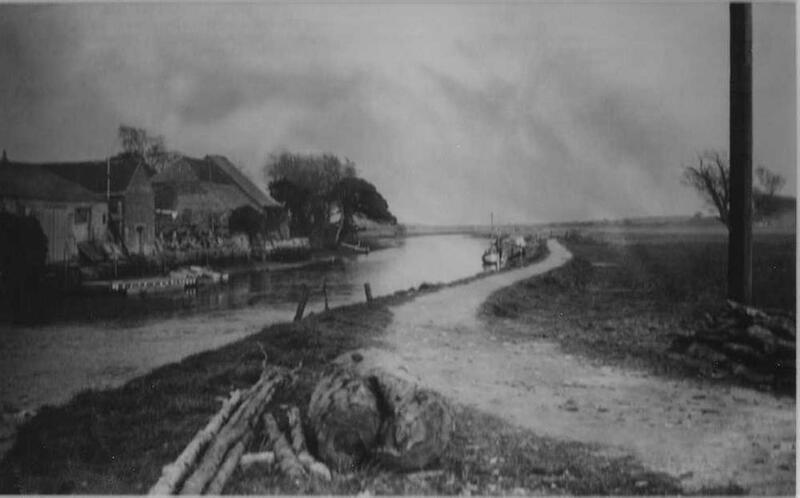 Here is a picture taken in 1931, viewed from Wareham Bridge. A combination of strong southerly gales, heavy rain, high tides and low pressure combined to threaten our towpath from the Stoborough flood plain side. Waves whipped along the edge, taking some of the protective 'shoulders' away from the towpath sides. But a working party of some thirty locals enjoyed a glorious early January day out in the fresh air and shifted some 16 tons of hoggin to repair the bank. More pictures here - then press the back arrow to return. The towpath provides a popular walk between Wareham and Ridge. It had only been rebuilt last year and luckily the path itself survived unscathed! Black Swans spotted from the Wareham Causeway by Lewis Peters of Corfe Road. Beyond them are the water meadows of the Frome, flooded due to several inches of rain combined with high tides. Black swans have been used as signs of unusual events, because people thought that all swans were white until black swans were discovered in Australia. However, these birds were probably raised in the UK, perhaps no further away than Abbotsbury. Flooding of the water meadows to a level that closes the causeway is not that unusual either, as seen several times in the last few weeks. Scroll down this page and you can see flooding after summer rains in July 2012. A lot has happened at the local Arne G wellsite recently. One well was started up in June and in September and October a small drilling rig modified two other wells. The wellsite is now equipped with three “Nodding Donkey” pumps and is exporting oil by pipeline after many dormant years. The recent work at Arne is part of our overall programme to reinvigorate the Wytch Farm oilfield. There is one more project planned at Arne – a new well. We hope to commence this work in mid-March 2014 and for approximately 9 weeks. After a two week set up period, the B51 rig will drill for 42 days before being removed from site. Thank you to all our neighbours for bearing with us during these temporary periods of activity. We continue to work hard to minimise disturbance. For further information, please contact Suzie Baverstock on 01929 476000. Dorset County Council recently approved applications for Perenco (the oil and gas exploration company based in Purbeck) to extend the operational life of the Wytch Farm, Wareham and Kimmeridge oilfields to 2037. To compensate for their continued physical presence, Perenco has pledged £1.7m towards enhancement projects in the local area. These projects include heathland and woodland management and rights of way projects. Locals from Arne Parish Council and Ridge met with Suzie Baverstock from Perenco at the Arne Wellsite on 19th November to review progress on the current re-commissioning works, the first phase of which is nearing completion. Three ‘nodding donkeys’ are now installed, the first one of which is now in production, pumping oil to the Wytch Farm gathering station via existing pipelines. Clearly, there have been a large number of HGV movements bringing temporary rigs and equipment in for the works but these will be stopping once the site is back in full operation. There is a further phase of recommissioning lasting about 3 months starting in March 2014. After that large vehicle movements will be limited to occasional maintenance tasks only. Perenco take safety issues very seriously and the drivers have clear instructions on the routes they are allowed to take and the feelings of locals with regard to speeds etc. However they would wish drivers along Arne Road and New Road would better anticipate situations and move over into an available passing bay rather than carrying on regardless, thereby forcing the HGVs into the verges! Dorset County Council is now nearing completion of the project. The policy requires that A and B class traffic routes, roundabouts, town centres and roads with speed humps remain lit all night, will all remaining street lights being turned off from midnight to 5:30am. It is intended that the changes will commence on site in the next three months and will take about a month to complete. All those street lights within the areas marked with a black border on the map will be switched off. A list of frequently asked questions on this project is publicly available on www.dorsetforyou.com/partnightlighting. This is the Annual Parish Meeting, not a council meeting; anyone can come and speak about the good, the bad, the highs and the lows of living here. The meeting is for the discussion of ideas for the future and all parishoners are very welcome. Please join us for a glass of wine or fruit juice on arrival. There will also be a presentation from Jim Cribb, a National Trust Countryside Ranger responsible for Hartland Moor and Middlebere Heath. Purbeck residents will shortly have the option to pay for a fortnightly garden waste collection. The Dorset Waste Partnership (DWP) will be sending an information leaflet in the next few weeks. More than 18,000 households in Dorset have already subscribed to the service, which allows them to have their hedge-trimmings, grass-cuttings, leaves and other garden waste collected all-year-round. The closing date for Purbeck households to apply for a garden waste collection is Wednesday 31st July. They can pay for a 240-litre wheelie bin for an annual fee of £35 or a 120-litre reusable bag for £25 a year. Dorset residents will still be able to take their garden waste to the DWP’s household recycling centres free of charge. A glorious spring day on the River Frome produced ideal conditions for the formal opening of the revamped towpath. Here Michael Frenchman from Arne Parish Council (centre) supervises while Caroline Macleod (Chair of the Parish Council) cuts the tape. John Scott from Wareham & District Development Trust (centre-left) looks on. Footpath FP20, known locally as ‘The Towpath’ serves as the umbilical cord between the settlement of Ridge and Wareham. This popular route for shoppers and ramblers alike was getting into a sorry state and suffered particularly badly in this winter’s rains. Plans were put in place for an upgrade with Arne Parish Council working in partnership with the Wareham and District Development Trust. Funding was sought and provided by Viridor and Dorset County Council and the works were completed in time for the busy Easter weekend. An opening ceremony is planned for Monday 29th April at 11:00 am at the Wareham end and all are welcome. 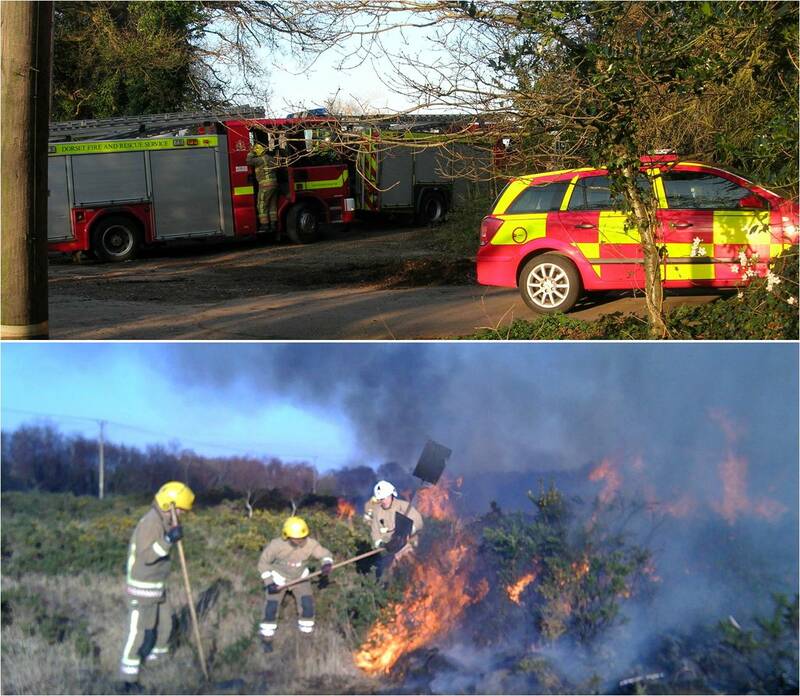 Fire started near an illicit tent on Stoborough Heath. Thanks to rapid reaction by the Fire Service, with more than 30 fire-fighters and 6 vehicles, it was controlled just before spreading into nearby trees with houses. Fires nearby on three days last winter, believed in only one case to be intentional, provided lessons for heathland management about maintaining access tracks, fire breaks and community relations. Mr Peter Collins: Peter (left) represents the Parish Council on the Wareham Relief in Need and Sickness Charity reporting back on meetings and seeking those who need help due to difficult circumstances. 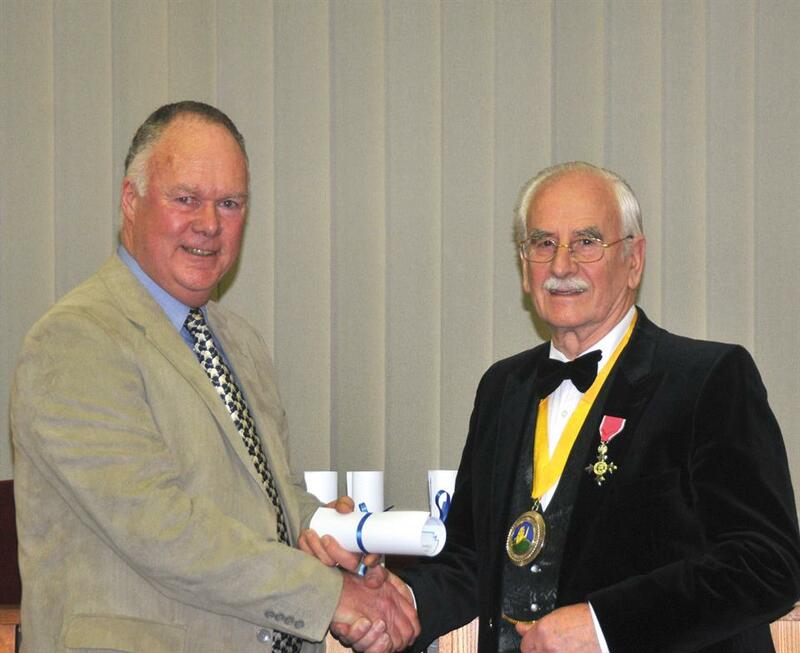 He also represents Ridge on the Hayricks Play Area Committee and is recent Chair of Ridge Residents' Association. He supports the Emmanuel Church both in Stoborough and Swanage and runs a crèche on Sundays and one week day at Stoborough. Peter has also helped serve Christmas Dinner on Wareham Quay for those in need. The work that Peter has carried out has helped needy folk gain some help to make life easier, his practical suggestions have helped design part of the Hayricks Play Area and as Chair of the residents' association he has been involved in fundraising, arranging events and entertainment and keeping a neighbourly eye on local residents. Volunteers are hard to come by but Peter willingly puts in the hours to help local groups and the church. A mild start to the winter turned bitter, with snow for several days in January and unusual cold in late March and early April. A shift far to the south by the jet stream across the Atlantic allowed air from the Arctic to dominate Britain's weather, and even in the south the spring became unusually late. The Hayricks have been continually improved by the Parish Council since the recreational area was created. 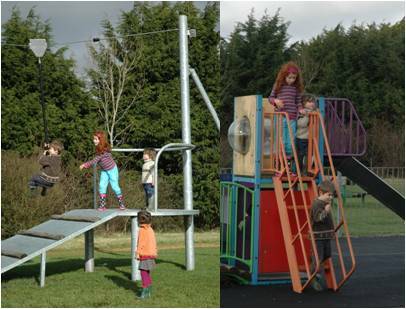 A Flying Fox was added to other play equipment, and in 2011 Imerys kindly made clay available for a cycle course; this year they helped raise funding to upgrade the peripheral track. Andrews Plant Hire has generously provided new car-park surface for the Village Hall and further access improvements are scheduled for the towpath along the River Frome between Ridge and Wareham. There was no risk of traffic approaching Stoborough too fast from Wareham on 9 July 2012. The combination of heavy rain for several days (see below) and spring tides produced flooding across the Causeway. Not much fun for the cows, either! why not bookmark this page as your favourite? News items from earlier times will make their way into the Gallery pages. Have a look there to see some fascinating "Old News".